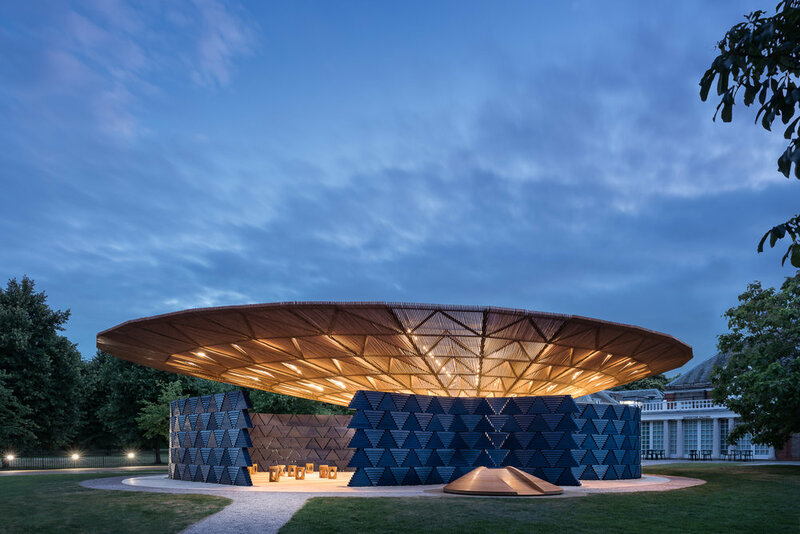 I recently visited the opening day of the new Serpentine Pavilion at the Serpentine Gallery in Kensington Gardens, London. 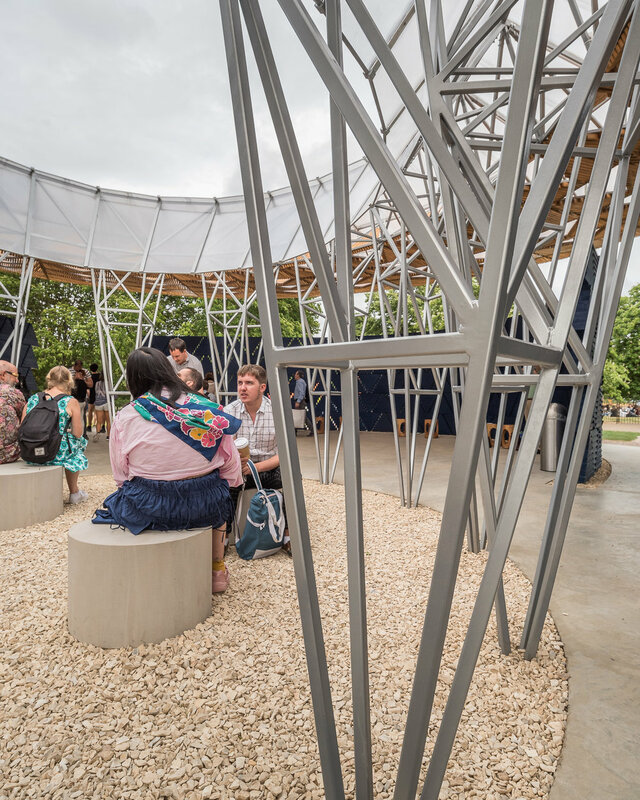 Every year a new pavilion is commissioned by the gallery to showcase the best new architects from around the world. "In Burkina Faso, the tree is a place where people gather together, where everyday activities play out under the shade of its branches. 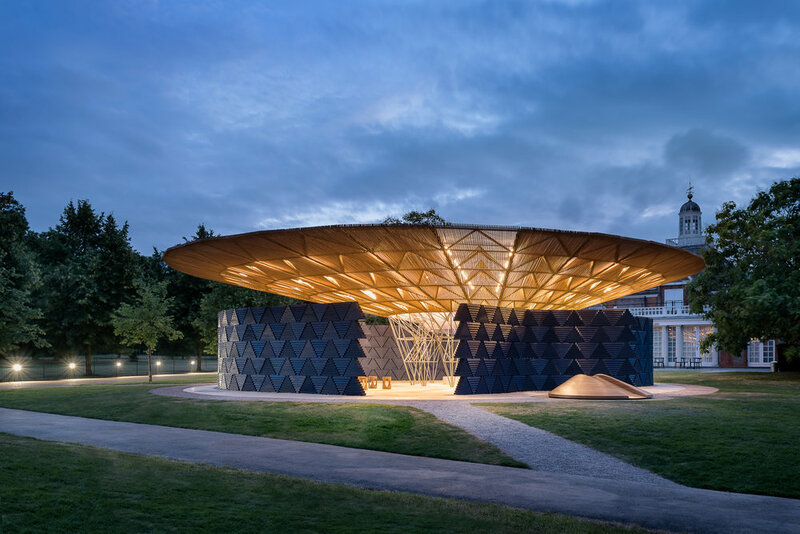 My design for the Serpentine Pavilion has a great over-hanging roof canopy made of steel and a transparent skin covering the structure, which allows sunlight to enter the space while also protecting it from the rain. 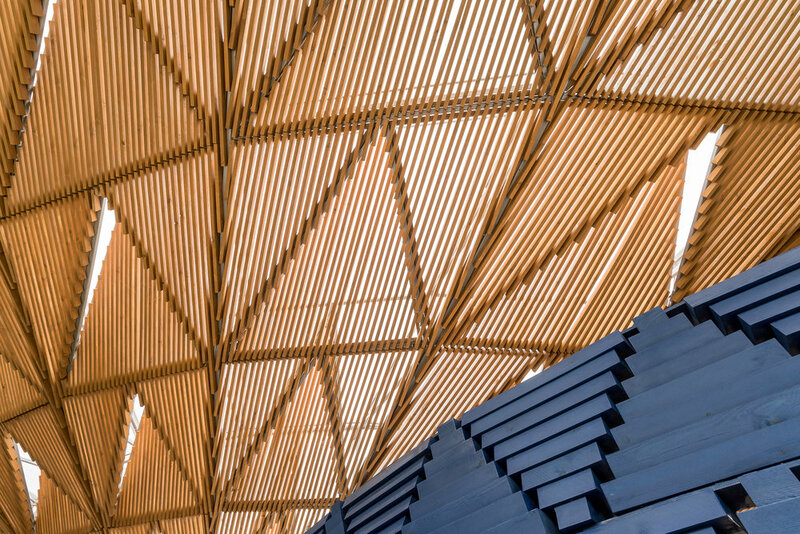 Wooden shading elements line the underside of the roof to create a dynamic shadow effect on the interior spaces. 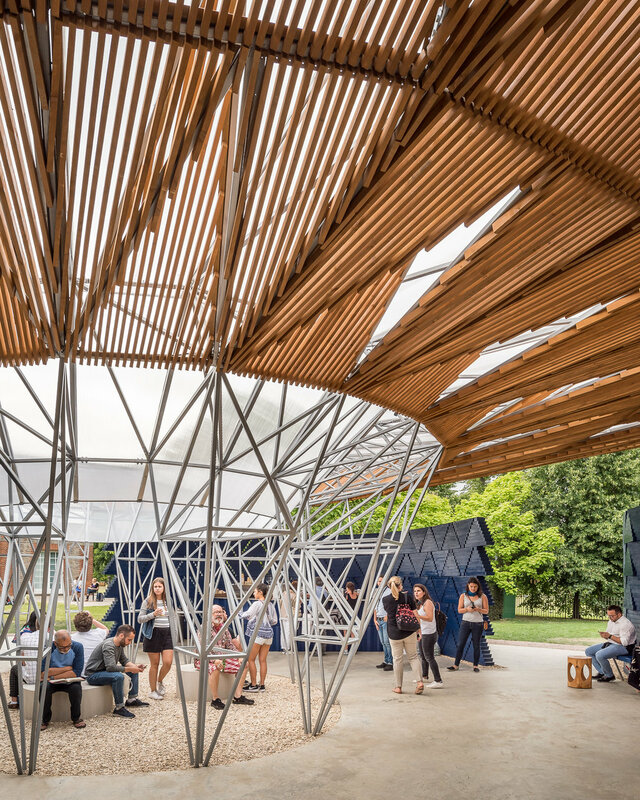 This combination of features promotes a sense of freedom and community; like the shade of the tree branches, the Pavilion becomes a place where people can gather and share their daily experiences." I visited the new structure on the first day open to the public. My aim was first to show the structure in its context, among other trees. Secondly, I wanted to capture how people were using the space. 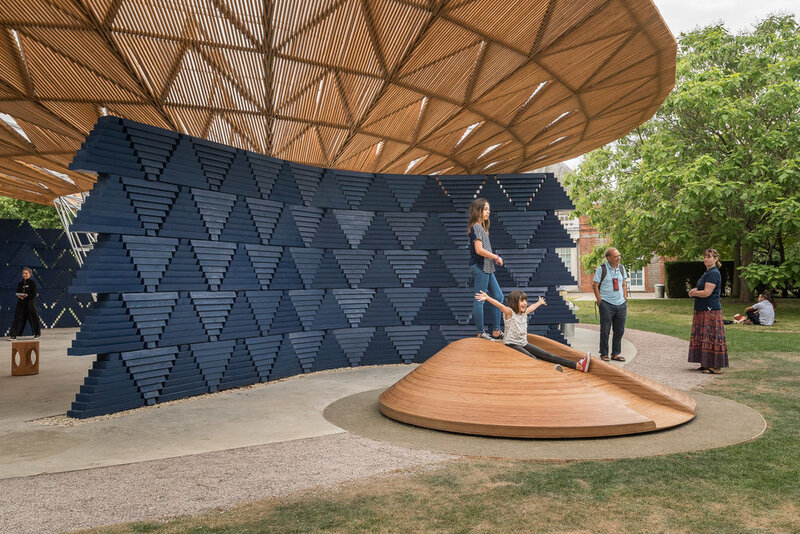 You can see people walking around it, using the stools and chairs to watch the world go by and children playing on a wooden mound, using it like a slide. You can also see people enjoying sitting on the stones right in the middle, looking up to the sky. 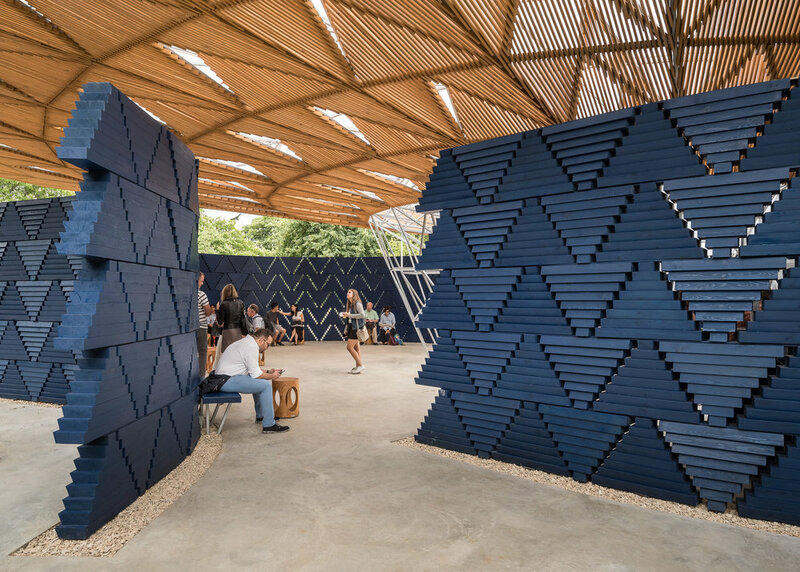 I also wanted to capture the details of the blue wooden walls and the canopy. Finally, I waited until dusk to capture the pavilion lit up at night. 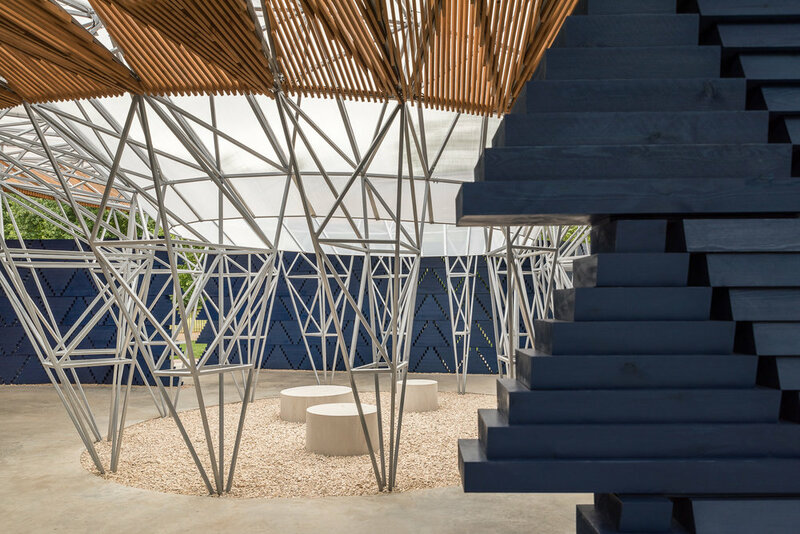 The lighting was designed to reflect the fact that in Burkina Faso, you can tell where the is a celebration going on by getting up high and looking for the source of light in the surrounding darkness. If you would like to hire an architectural photographer in London or any part of the UK, then please take a look at my portfolio, and don't hesitate to contact me. I'll be happy to talk through your requirements and give you an estimate. Click any thumbnail below to open a slideshow.